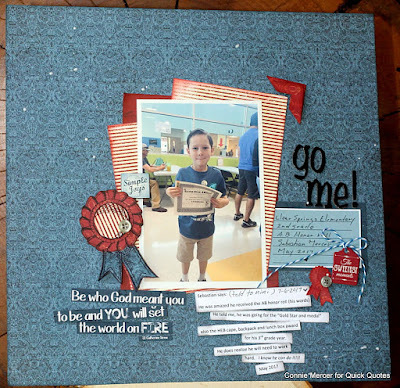 Hi, Connie here with a, school themed, scrapbook page using the Earth Wind Fire Collection. I love celebrating a good day at school with my grandson. Very simple design by layering pattern papers to create a mat for the photo. I'm a fan of EASY! 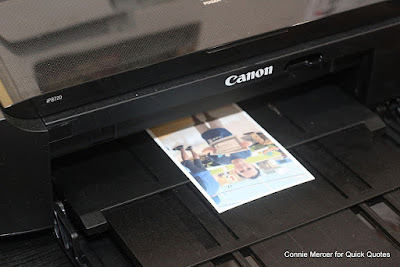 The photo is printed out using the Canon iP8720. Layer different patterns of paper, about 4" X 6" and make a mat for the photo to be adhered to. 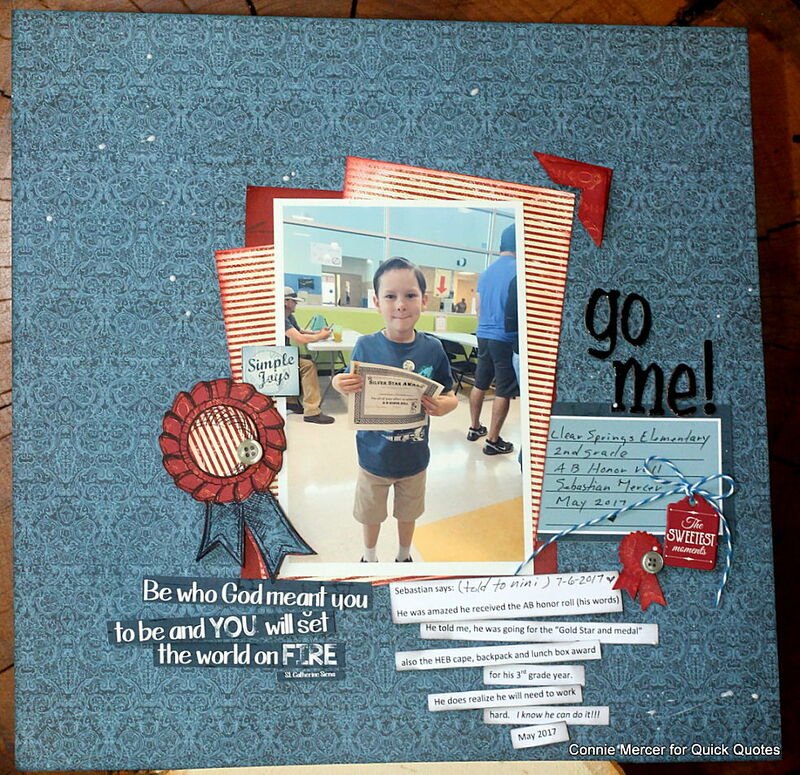 Embellish with stamps ( my choice) or stickers and die cuts. 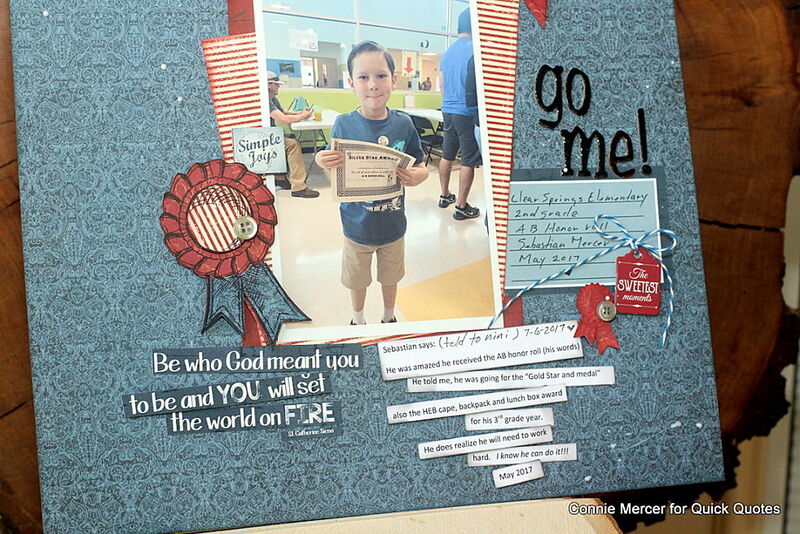 I asked my grandson to give me his thoughts of the event and then added "his words" to the page. He has big goals for next school year.